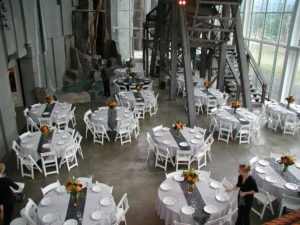 The Columbia Gorge Interpretive Center Museum offers a unique atmosphere in a pristine setting for any special event. Consider the Columbia Gorge Interpretive Center Museum for the next business, wedding, birthday or anniversary reception. There is even an area for small meetings. The Museum has been the location of wedding ceremonies as well as many other special celebrations. Call (800) 991-2338 or (509) 427-8211 for assistance in registering for use of the building and/or grounds. Our friendly staff will advise on rental fees, use of equipment and options. Contact us for further information.